Time to tell the tale of SolidWorks World 2011. I thought that it would be a good idea to break this up into small chunks over the next couple of days, so I will start with our arrival in San Antonio on Saturday . . . I knew that this year would be a lot of fun, because there were 3 people from our local user group (SwugONE) that were attending for the first time. 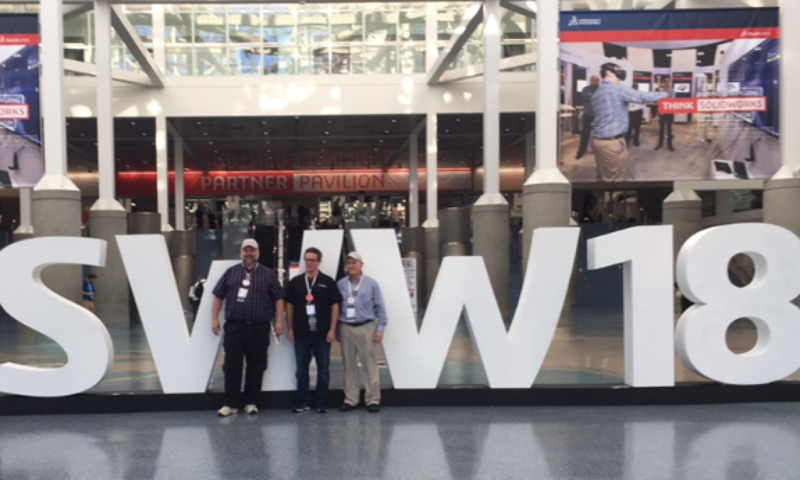 There is nothing quite like your first trip to SolidWorks World, and it was exciting to be able to share this experience with them. We spent most of the day hanging out, wandering up and down the riverwalk, visiting the Tower of the Americas, and enjoying Tex-Mex. Plans were made for Sunday’s activities, and then we finally called it a day. I have been dragging out the launch for far too long. I wanted to have everything finished and perfect, but then I decided that it would be best to allow it to evolve over time. There will be empty links, blank pages, and incomplete areas for awhile. There will be changes and makeovers while I find what works and what doesn’t. I thought that I would start with some posts and start to fill in some of the other information as I go. Soon it will be expanded to have tips, tricks, tutorials and so much more. My original intention was to have the website up and running in time for SolidWorks World 2011 (which it was, thanks to a ton of help from my friend M.O.) I thought that it would be fun to blog about the events of SolidWorks World while I was there, but then I decided to just take it all in and do the writing later. It has now been a month since we were headed to San Antonio, and now I am ready to start writing about the adventure. Stay tuned . . .